What can I send to Chile? What items are restricted? Chile is a fantastic destination for travellers, tourists, gap year students and business people alike. There’s something for everybody to take part in, see or do, whether you’re hitting up the slopes in the southern part of the country, exploring the desert in the north or relaxing on the sun-baked coast. If you’re planning an extended activity-filled break in the country or even travelling around Chile, it’s likely that you’ll need various types of equipment, such as hiking boots or skis, and clothing that allows for every type of weather you might encounter. Send My Bag might be the solution that you’ve been looking for. We can pick up your bags from your doorstop and take them to any address in Chile. If you are a student studying for your degree in Chile, or a PhD student carrying out research there, Send My Bag can send all the possessions you will need for your stay in Chile. By shipping your things rather than bringing them on the plane yourself, you can have many more of your things with you and can avoid the risk of excess baggage fees. No matter if you are going to Chile for a set period or if you are moving to Chile for good, you can avoid a lot of stress and hassle by sending your luggage and boxes with Send My Bag. This way you can enjoy your journey to Chile knowing that your luggage is being taken care of. You can pack all the possessions you need to make you feel comfortable in Chile, while avoiding the hassle of dragging heavy bags behind you through airports and onto public transport. To learn more about sending luggage to Chile, visit our ‘How it works’ page, or our ‘FAQs’. The majority of golf courses in Chile are situated around the capital city, Santiago. Some of the best golf courses in Chile include Patagonia Virgin, Los Leones and La Serena. You can try out these courses using your own beloved golf clubs, by shipping them to Chile with Send My Bag. The added benefit is that you don’t have to wait around at bag drop or luggage carousels, or have to drag large golf bags behind you. Plus, you can avoid completely oversized baggage fees from your airline. See more information on how to send golf clubs with Send My Bag, including how to best package your golf clubs. Chile provides a stunning backdrop for cyclists. Why not explore Chile by bike by sending your bike to Chile with Send my Bag? You could even take the trip of a lifetime and cycle the full length of Chile! You can send your bike to your first hotel and have it picked up at your final hotel. Your bike needs to be taken apart and safely packaged up before being sent to Chile. Check out our information on bike shipping to learn more. Why not go skiing in the Andes, in resorts such as Valle Nevado, Portillo and Chillan. Don’t worry about having to rent unfamiliar skis when you are there. Instead, you can send your own skis to Chile with Send My Bag. This is much easier than checking your skis into your airplane’s hold. You can send your skis ahead to Chile and have them waiting for you on arrival. Find out more about sending skis with Send My Bag and read about how to package your skis safely. If you are moving house to Chile you will have to think about international removals to Chile in order to move all of your possessions too. Make sure you choose a reputable removal company and that you package up all your items carefully so that they arrive intact. Use suitable packaging for your items and tape everything up well. If you are studying in Chile this year, or taking a third year abroad there, Send My Bag can help you ship everything you need to Chile, from books, to clothes, to writing materials. Chile has some top universities, such as the Universidad de Santiago de Chile, the Universidad de Chile and the Pontificia Universidad Católica de Chile. If you are studying at one of these institutions, or any others, Send My Bag can send your possessions to your student accommodation, making your move an easy one. Discover more about student shipping on our student page and find out how to receive your student discount. Sending a parcel to Chile with Send My Bag is a great idea if you need to send a smaller number of items – if you left some items at home when you moved to Chile, for example. You can ask a friend or family member to put the items you have forgotten in a box and send them on to you. People can also use the service to send you gifts or care packages. When sending a parcel to Chile make sure you select a sturdy box and seal it up well so nothing gets damaged in transit. Read more about sending a parcel and find out what you can send with Send My Bag and how to package your items. If you have to send big items, such as a console table or ottoman, to Chile you could look into air freight. The time it takes to transport your items this way is usually one to two days, making it a quick service. It can be quite expensive, though, with costs increasing as your shipment size increases. You will likely also have to hire a customs agent to sort customs clearance for you. Another cost to think about is getting your items to and from the airport, which means the price of using air freight could quickly mount up. If you send internationally by air freight to Chile your items will likely arrive at Santiago, Chacalluta or Diego Aracena Airports. Another option for shipping large bulky items is sea freight or container shipping. 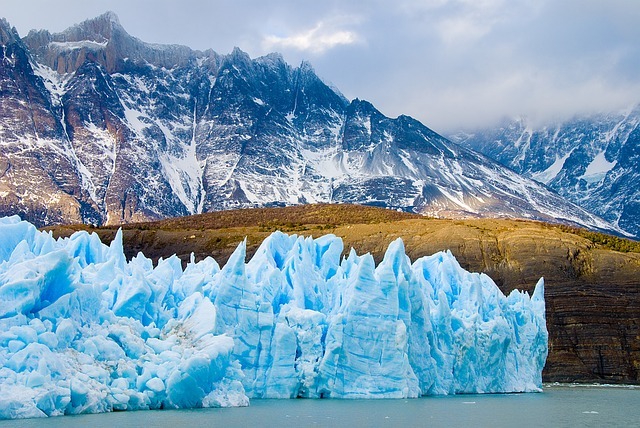 Sea freight shipping to Chile can take a number of weeks, so it’s a good option if you don’t need your items straight away. This option can be cheaper than air freight, but you will still need to pay for the services of a customs agent and will need to sort out how to get your items to and from the ports. This means the cost could be more than expected. When using container shipping to Chile, your items will most likely arrive by ship at one of the major sea ports, such as the Ports of Iquique, Valparaiso or Coronel. Shipments must arrive in Chile within 120 days of the owners arrival in the country to be eligible for personal effects clearance. In order to clear personal effects into Chile, our courier partner will normally contact the consignee directly to request a copy of their passport. An additional fee of $50 USD + VAT will also need to be settled for them to process clearance. Under no circumstances should a business or hotel name be used as the receiver’s name. The owner and named receiver of the goods should be the same person and is required to be in the country at the time of clearance. Chilean customs will usually inspect all shipments resulting in a delay of around one week. When a bag is stopped by customs for any reason (missing documentation, prohibited contents, commercial contents or further information required) Send My Bag™ records how long customs hold it for. Our historical statistics for this route indicate that if the customs authority stops your bag they will on average take 9 days to process it and release it back to us for delivery. As a hugely diverse country, it’s no surprise that there are plenty of things to do on a trip there. If you want to hit up the slopes somewhere a bit different, the Valle Nevado outside Santiago is the perfect place. Exciting heli-skiing is also on offer here for the daredevils among you. The Atacama Desert is also particularly popular among tourists who head there with dirt bikes to explore the unusual landscape and geysers, such as El Tatio. The area also attracts a different set of people at night. Astronomers and stargazers flock to the desert ‒ particularly Valle de Elqui on clear nights ‒ to gaze at the skies using some of the world’s biggest and best telescopes. Other exciting activities to participate in around the country include hiking or biking in the countryside or shopping in the plentiful malls around the capital city, Santiago.